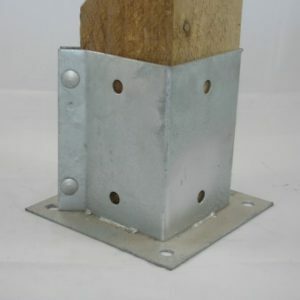 This Carpenters Mate Heiwa Post Support has a threaded spike on it to secure in a 14mm diameter hole. 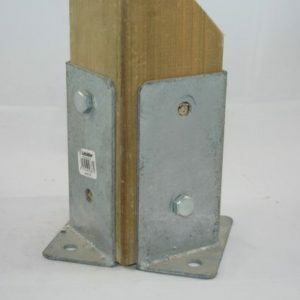 This support allows you to adjust the height on the support post after it has been installed. If a more attractive or weather resistant finish is required this can be over painted with a suitable metal primer and paint as required. 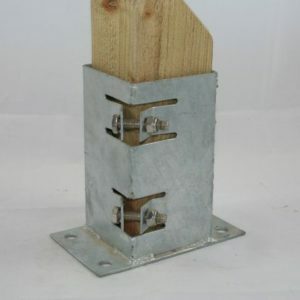 The maximum post size that can be supported is a 150mm x 150mm. 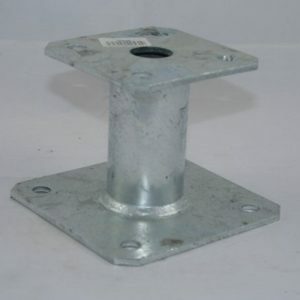 It has a vertical load capacity of 2500 kg. 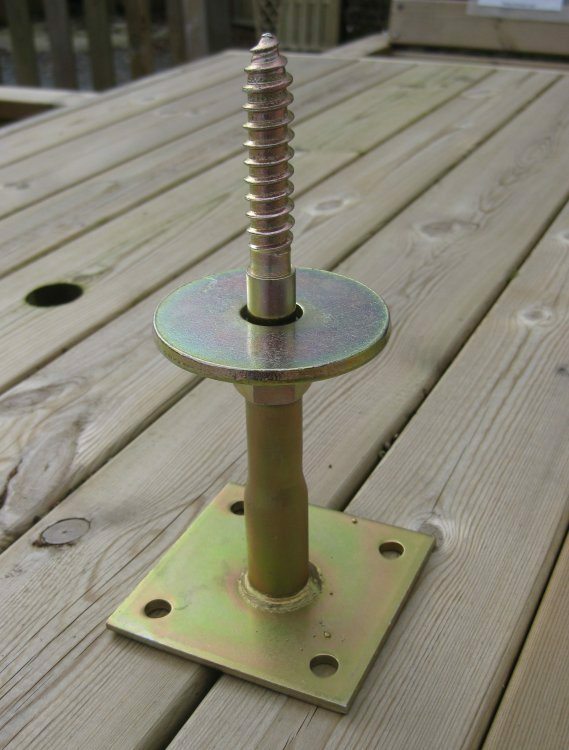 We would recommend Multi-bolts or concrete screws for securing it to a concrete base. Wherever possible check exact specifications with your building inspector if aqppropriate.